Happy Weekend! This post is a little overdue - but better late than never! 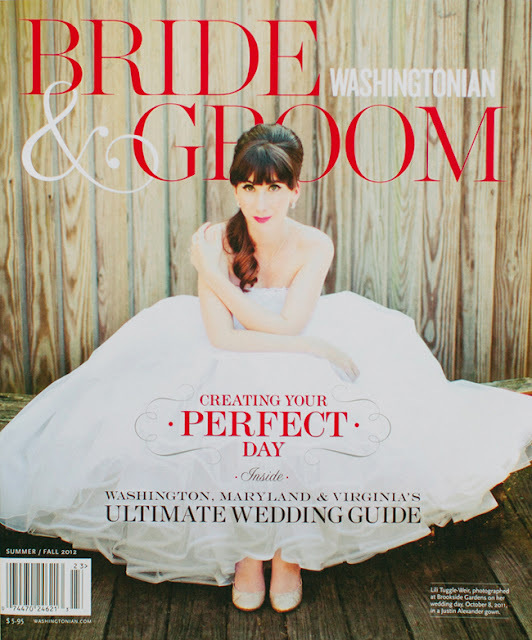 We were so excited for our past bride Lili, whose lovely photo made the cover of Washingtonian Bride & Groom Magazine for Summer/Fall 2012! We had fun as the planners of Lili & Andrew's eco-friendly, vintage garden tea party wedding last spring.